If, when your child woke, ate, dressed, and went out, was different every day, you already know – surprises trigger spirited children. Time to bring back predictability. Together with your child, re-establish your daily routine. Create a visual plan, laying it out like a 4-6 frame cartoon. In each frame have your child draw one step of his morning routine. Then follow it every day. Do the same thing for other major transition times during the day, such as pick-up, or bedtime. The frequency of power struggles drops drastically when your child knows what to expect. 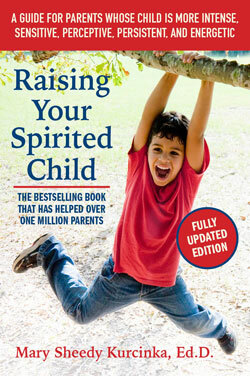 When the weather is “frightful” exercising is challenging, but spirited children NEED exercise. Bundle up and get outside. Create a picture or plan of dressing for the little ones. Snow pants first – then boots, hat, jacket and mittens last, so they can dress themselves. Fresh air is rejuvenating to everyone. Can’t get outside? Move the furniture to the walls and create space for an obstacle course. Lay a mattress on the floor for tumbling. Dance! Why is it that staying up late is viewed as a treat, when sleep deprivation is used as a tool of torture! Re-establish your bedtime and nap times. Avoid any more activities that disrupt your child’s sleep. 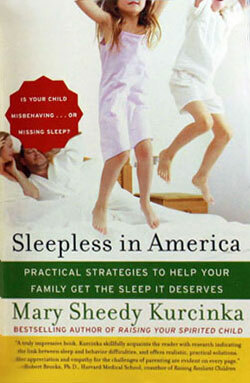 Protect sleep like a Tiger parent! Know that this time of the year, until springtime, you can easily add 15-30 minutes to the average sleep needs of your child’s age group. For preschoolers who on average need 12 hours of sleep in a 24-hour period, you can increase that to 12 hours and 15 minutes or 12 hours and 30 minutes by moving your bedtime 15 minutes earlier. Watch for that first yawn. Don’t wait for the second. Start your bedtime routine and get that head on the pillow. What? Offer to help someone else, when you barely have the energy to get yourself moving in the morning? Yes, helping others boosts energy and teaches your children the importance of empathy and kindness. Watch and listen for opportunities around you. Shovel a neighbor’s sidewalk. Draw pictures for the elderly neighbor. Deliver them in-person. Doing good feels good. Clutter drains. Together with your children sort, purge, sell and give away. Even young children can match socks, and in the process, find those whose mates have disappeared. Play dress-up to identify clothing that has been outgrown. Establish a goal of something you would like to experience– then sell toys, clothing and other items to earn money toward that goal. Put away two-thirds of the new toys, and rotate them. Every Monday switch out last week’s toys for new ones. Rotating garners fresh interest, and de-cluttering, de-stresses. Holidays can be draining to children as well as adults. Slow down. Add a few more hugs, a little massage and more cuddles to your day. Be proactive. Before your child demands help, ask him, “Is today a day you need help dressing, or can you do it yourself?” If he needs help, help him but gently nudge by saying, “Ok, today I will help you, but pretty soon, you’ll be ready to do it yourself.” One day he will! At the end of the day, fill the tub with hot water and nurture yourself with a relaxing soak. Time to reduce the sugar, and increase the protein and veggies. Following nutritionist Ellyn Satter’s recommendations to plan six mini meals a day. Each meal spaced about 2.5-3 hours from the last. Six mini meals eliminates nasty blood sugar drops and the accompanying tantrums that spirited children often experience. Include in each meal a little protein, carbohydrates, fruits/vegetables and fat. Always include something your child likes. Serve family style. Then sit down and enjoy the meals with your child. Your responsibility is to select the foods and serve them. Your child’s job is to decide if to eat, what to eat and how much. If a bowl is empty offer something else available on the table. If he’s not hungry there will be another meal in a mere 2.5 to 3 hours. Do not fight over food. This is a time to connect and nourish. That’s it, seven steps to REBOUND from the holiday blues. You’ve got this. 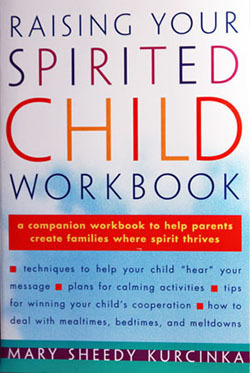 If, when your child woke, ate, dressed, and went out, was different every day, you already know – surprises trigger spirited children. Time to bring back predictability. Together with your child re-establish your daily routine. Create a visual plan, laying it out like a 4-6 frame cartoon. In each frame have your child draw one step of his morning routine. Then follow it every day. Do the same thing for other major transition times during the day, such as pick-up, or bedtime. 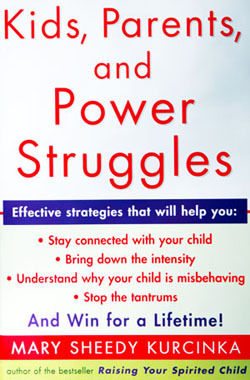 The frequency of power struggles drops drastically when your child knows what to expect. When the weather is “frightful” exercising is challenging, but spirited children NEED exercise. Bundle up and get outside. Create a picture of plan of dressing for the little ones. Snow pants first – then boots, hat, jacket and mittens last, so they can dress themselves. Fresh air is rejuvenating to everyone. Can’t get outside? Move the furniture to the walls and create space for an obstacle course. Lay a mattress on the floor for tumbling. Dance! Why is it that staying up late is viewed as a treat, when sleep deprivation is used as a tool of torture! Re-establish your bedtime and nap times. Avoid any more activities that disrupt your child’s sleep. Protect sleep like a Tiger parent! Know that this time of the year, until spring time, you can easily add 15-30 minutes to the average sleep needs of your child’s age group. For preschoolers who on average need 12 hours of sleep in a 24-hour period, you can increase that to 12 hours and 15 minutes or 12 hours and 30 minutes by moving your bedtime 15 minutes earlier. Watch for that first yawn. Don’t wait for the second. Start your bedtime routine and get that head on the pillow. What? Offer to help someone else, when you barely have the energy to get yourself moving in the morning? Yes, helping others boosts energy and teaches your children the importance of empathy and kindness. Watch and listen for opportunities around you. Shovel a neighbor’s sidewalk. Draw pictures for the elderly neighbor. Deliver them in-person. Doing good, feels good. Clutter drains. Together with your children sort, purge, sell and give-away. Even young children can match socks, and in the process, find those whose mates have disappeared. Play dress-up to identify clothing that has been outgrown. Establish a goal of something you would like to experience– then sell toys, clothing and other items to earn money toward that goal. Put away two-thirds of the new toys, and rotate them. Every Monday switch out last week’s toys for new ones. Rotating garners fresh interest, and de-cluttering, de-stresses. Time to reduce the sugar, and increase the protein and veggies. Following nutritionist Ellyn Satter’s recommendations plan six mini meals a day. Each meal spaced about 2.5-3 hours from the last. Six mini meals eliminates nasty blood sugar drops and the accompanying tantrums that spirited children often experience. Include in each meal a little protein, carbohydrates, fruits/vegetables and fat. Always include something your child likes. Serve family style. Then sit down and enjoy the meals with your child. Your responsibility is to select the foods and serve them. Your child’s job is to decide if to eat, what to eat and how much. If a bowl is empty offer something else available on the table. If he’s not hungry there will be another meal in a mere 2.5 to 3 hours. Do not fight over food. This is a time to connect and nourish.